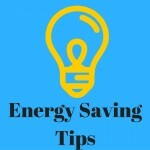 Try some of our energy savings tips for your home or business. These tips will not only save you money but will help reduce your impact on the environment. 1. 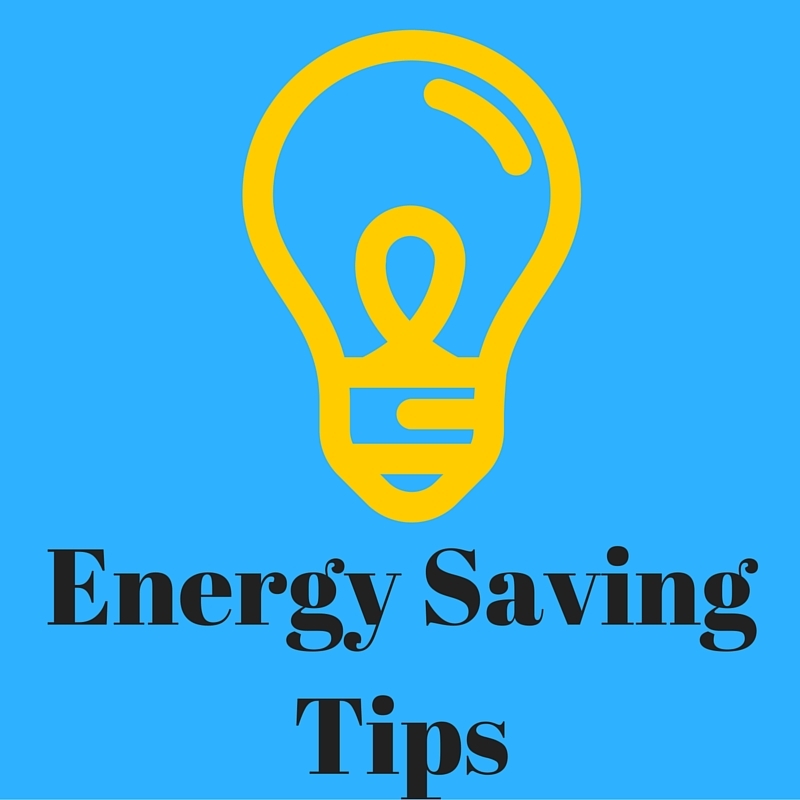 Turn off the lights: Let’s get the more obvious of energy saving tips out of the way first by turning off lights in rooms that that aren’t in use or in rooms that are naturally light enough. 2. Use fewer lights: Do you really need 3 lamps in one room? Use as little as possible without causing eye strain. 3. Switch to energy-efficient bulbs: CFL’s (compact fluorescent lights) or LED’s (light emitting diodes) use about 20% the energy and last up to 12 times longer. This is because regular bulbs create more heat than light, thus using more energy. 4. Use an oil lantern: Some lanterns are even designed to run off waste vegetable oil! Check out this Youtube clip showing you how! 5. Utilise daylight hours: Open your shades or install a skylight to avoid the use of lighting during the day. 1. Energy-efficient appliances: If your appliance is more than 10 years old, upgrading to a newer more efficient model can save a huge amount on your electricity bill each year. Check out how much energy your applciance uses by using this handy online calculator from the SEAI. Also make sure to check out the energy rating on new appliances – it’ll save you money in the long run. 2. Close the fridge! : Fridges and freezers are responsible for approximately 1/3 of your electric bill and leaving the door open too long accounts for increased cooling up to 25%. 3. Check the seal on your fridge and freezer: A broken seal will cause your unit to run unnecessarily. Place a sheet of paper between the fridge and the door as you close it. Once closed, if it pulls out easily, it’s time to replace the seal. 4. Opt for a box freezer: Cold air is heavier and falls to the bottom. With a box freezer (with a door on top) keeps cold air in better when opened and reduces the amount of time the unit runs. 5. Get a freezer-on-bottom fridge: For the same reasons as the box freezer, refrigerators with freezers on the bottom are much more efficient. 6. Fill the fridge and freezer space: Dead space takes more energy to cool. Fill a partially empty fridge or freezer with jugs of cool water instead. 7. Do not place hot foods in a fridge: Allowing your foods to cool to room temperature ensures your unit will not have to work as hard to keep the inside air cold. 8. Thaw in the fridge: Frozen items will throw off their cold air into the fridge, thus assisting it in keeping things cool. 1. Rinse in cold water: Whether pre-rinsing dishes for the dishwasher or rinsing handwashed dishes, do so with cold water. 2. Select a shorter cycle: Pre-rinsing can enable you to use shorter wash cycles and save energy. 3. Only wash full loads: Run the dishwasher less often by filling it completely. 4. Consider handwashing: If your dishwasher is old and you can’t yet replace it with a more efficient model, consider handwashing to save energy and possibly water. 5. Maintain your machine: Keeping your machine in good working order and free of buildup will help extend the lifespan and save you money on major repairs that become necessary as a result of neglect. 1. Wash only full loads: Use the energy to wash many items, instead of just a few articles of clothing. 2. Wash less often: Wearing your clothing a few more times will save energy, even if you have to run the machine a few extra minutes for heavily soiled clothing. 3. Wash in cooler water using an appropriate detergent: You’ll use less energy reheating water for your water heater. 4. Keep your machine level: Unbalanced legs on a machine can cause it to work harder and wear down faster. 5. Maintain your machine: As with dishwashers, regular maintenance is important to extend the life of your appliance. 1. Line dry whenever possible: An outdoor clothesline during warmer months (not that common in Ireland!) or a retractable indoor clothesline during colder months can help you eliminate the use of your dryer almost completely. 2. Keep the lint filter clean: Empty it after each use and wash it regularly. Warm soapy water 2-3 times a year will prevent buildup of oils, soaps or dryer sheet film that will clog your filter and reduce your dryer’s efficiency. 3. Don’t overload the dryer: Too many clothes reduce the dryer’s efficiency by taking longer to dry. 4. Don’t overdry clothing: Use a moisture sensor or test the clothing yourself and set the machine to the shortest drying cycle. 5. Dry separately: Heavy materials, such as towels or jeans, should be dried separately from lightweight clothing, which will dry faster on their own. 6. Ensure proper ventilation: Most energy saving tips tell you to prevent drafts but few tell you to watch for proper ventilation. Poor ventilation can cause overheating and lower the machine’s efficiency, as well as increase the air temperature in your home and cause an increase in your air conditioning consumption. 7. Dry loads back-to-back: A large part of the energy use of dryers is in getting them hot. Drying loads back-to-back will minimize the need for reheating after cooling. 1. Shop energy-efficiency: Look for LCD screens and Energy Star computers and electronics when updating or replacing machines. 2. Buy all-in-one electronics: A TV with DVD player included may use less energy than a separate television and device player. Be sure to check Energy Rating labels for individual power consumption. 3. Laptops are more efficient: Laptops and notebooks use approximately 25% the average power used by a desktop! 4. Turn off your screen: Screensavers do not save power. Turn off your screen when stepping away for short periods of time. 5. Use your energy-saving settings: Most computers now allow you to choose settings that save power. Find a setting that allows you and your computer to work efficiently. 6. Utilise sleep mode or shut it down: If you’re walking away from more than an hour, consider shutting down your machine completely. If you can’t shut it down, save your work and put it into sleep mode when you step away. 7. Turn off computer accessories: Scanners, printers and even some personal faxes can be shut down until needed, thus saving their standby energy. 8. Unplug chargers: Chargers continue to draw energy, even when they aren’t charging anything. Only plug them in as needed. 9. Don’t charge cell phones overnight: Most cell phones only require a few hours to reach a full charge. Try charging your cell at your desk or during the evening and unplugging by bedtime. 10. Upgrade wisely: Many people upgrade to a whole new computer when all they need is extra RAM or they simply want the newest model. Upgrade less often and do so by purchasing the least possible. 1. Set the temperature: Set your water heater to “Low” or no higher than 120 degrees. Just keep in mind that if it is so low you are using only the hot water faucet during showers, you are likely still using the same amount of gas to refill the entire tank with hot water. 2. Insulate the tank: BWrapping your hot water tank will help it work less to keep the water warm. 3. Insulate pipes: Heat can be lost to cold pipes, so wrap them well and save energy. 4. Take shorter, cooler showers: Save energy by minimizing hot water use in the shower and by avoiding baths. 5. Do regular maintenance: Most manufacturers give instructions for removing buildup of sediment within the tank or maintaining lines, all of which will help your tank run more efficiently. 6. Look into alternatives: Tankless water heaters or solar hot water heaters use far less to virtually no energy in heating the water. 1. Avoid preheating when possible: Often we preheat for longer than necessary. Unless the recipe is more precise, turn the oven on when you place food inside and take advantage of all the heat. 2. Group baking: Baking several things at once (your bread with your casserole), or make double batches for easy-to-reheat leftovers. 3. Check the oven’s seal: A poorly sealed oven will waste half your energy trying to stay at the accurate temperature. 4. Use the oven light: Instead of opening the door to check on foods, switch on the oven light to see inside without losing heat. 5. Turn the oven off early: The captured heat will finish the last few minutes of cooking without the added energy. 6. Utilise the oven heat: While the oven is baking, use the vented heat to thaw foods, melt butter or keep dishes warm. 7. Warm the kitchen: After baking in the winter, leave the oven door open to allow the warm air to heat up your home a bit more. 8. Use lids on pots and pans: You’ll capture the heat and enable yourself to use a lower setting. 9. Use the correct sized burner: Larger burners used for smaller pots or pans will throw off as much heat as it uses. 10. Don’t “over-boil” water: When making pastas or boiling eggs, bring the water to a rolling boil, add the food, cover the pot or pan and shut the heat off. The hot water will continue to cook the food without using any additional energy. Also, it takes less energy to keep liquid at a boil than it does to bring it to a boil, so even if you can’t turn the burner off, you can still turn it down. 11. Cut food into small pieces: Smaller pieces of potato or veggies cook faster and will use less energy. 12. Don’t use too much water: When boiling water or pasta, use only the amount of water necessary to cover the food and allow for expansion. Heating less water is more efficient and will cut down on time. 13. Use an electric kettle: Electric kettles boil water faster and more efficiently – they can be used for making tea or boiling water for small meals. 14. Make one-pan/pot meals: One pot meals are easy, use less energy and take less time to clean-up. 15. Cook on the top rack of the oven: Keep your food closer to the heating element and cut your cooking time by up to 20%. 1. Ironing: Most irons take a very small amount of time to heat up, so don’t turn yours on until right before you need it. And turn it off before you’re done – the residual heat will finish the job. 2. Gas Fireplaces: Check that your fireplace is well-insulated and working properly. Keep burners clean and clear. 3. Opt for rechargeable batteries: New hybrid Nickel-Metal Hydride (Ni-MH) cell batteries are more efficient and are better able to maintain a charge over longer periods.